YoYoExpert Blog & Yo-Yo News – Pacific Northwest Regional YoYo Contest in Seattle || Find us there! Pacific Northwest Regional YoYo Contest in Seattle || Find us there! YoYoExpert is getting ready to catch a plane to Seattle for the Pacific Northwest Yo-Yo Contest! One of the best regionals in the country! 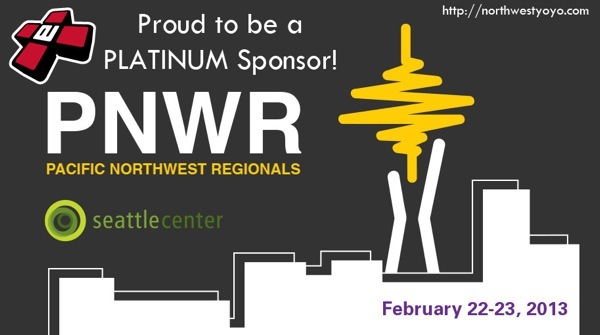 We are PROUD to be a PLATINUM SPONSOR of this great contest. Come introduce yourself to André Boulay while there and check out the YoYoExpert booth which will include lots of yo-yo supplies and gear! WYYC2017 Guessing Game – Pick the Top 3 yo-yos & Win! Ed Haponik Fixed Axle Challenge – ROUND 1!